"This recipe is for the bread machine. 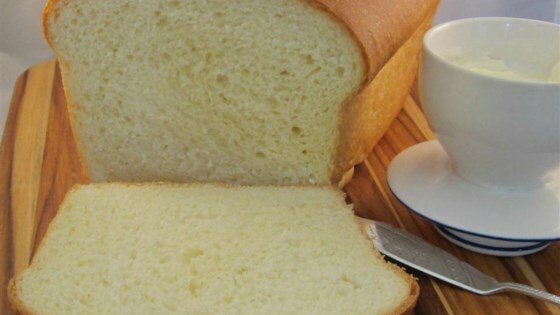 It is similar to homemade grandmother's sweet bread." I tried this recipe twice and both times it overflowed in the bread machine and burnt. Anyone else have this problem? I even punched it down on the rise cycle. If you REALLY want to taste sweetbread at it's absolute best, try buttering one side of a nice thick slice and grilling it in the frying pan. Tastes just like danish!